Rosenberg traces its roots to the early 1800s when it was part of a Mexican land parcel granted to Stephen F. Austin. The population of the city expanded when the Gulf, Colorado and Santa Fe Railroad constructed a junction in 1880. Other railroads followed suit and built in the area, creating a bustling commercial hub where Rosenberg currently stands. The hot and humid climate of the region, however, presented significant challenges for these early settlers. Today, the expert technicians at All Out A/C & Heating offer added help in beating the heat and humidity during scorching summer months. Our Rosenberg air conditioning repair team can provide rapid response times to help you keep your cool when it’s hot outside. 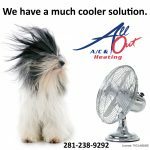 All Out A/C & Heating is a locally owned and operated business with more than 25 years in the Houston area. We specialize in providing you with the most practical and cost-effective solutions for your Rosenberg HVAC repair needs. Whether you require routine maintenance or a full replacement system, our technicians have the tools and the skills necessary to return your climate control systems to working order and to advise you of your options to ensure optimal use of your available funds. Our team is committed to helping you and your family remain cool indoors all summer long. 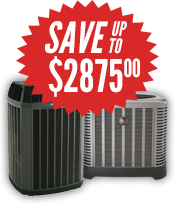 Depending on the extent of the repairs needed, a new air conditioning unit or integrated system may be the most cost-effective choice for your home and family. Our experienced technicians will provide you with honest information regarding your choices to ensure that you are completely satisfied with our services on your behalf. 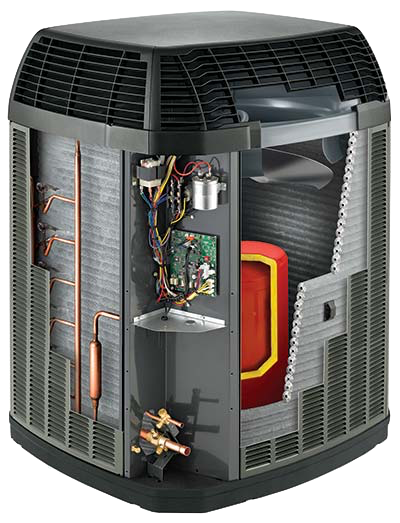 At All Out A/C & Heating, we are proud of our reputation for quality workmanship and excellent customer service. Our Rosenberg air conditioning repair team is ready to serve your needs. If you are in need of expert repair services for your heating and cooling system, call us anytime, day or night, at 281-238-9292. We’re here to help you keep your cool no matter what Mother Nature serves up this summer.